In 1989, Dr. Van Flandern published is paper titled “Exploded Planet Hypothesis” identifying the early nature of our solar system. I would call that more than just “another paper published in 1989”. Does this latest article seem to strike a note of a personal nature? Yes it does. It is known Tom was more than just a scientist I had on my show several times, we became friends – he was more of a mentor, perhaps knowing of what I would go through as I was presenting new data supporting my Sun-Earth-Extreme Weather hypothesis. Dr. Van Flandern’s pedigree far exceeds my own, yet when he could no longer tow-the-line of his colleagues simply because he could not deny the outcome of his research. It was sometime after 1989 he became the target from the very agencies he worked with. From 1963 to 1983, Tom was the top shelf astronomer at the U.S. Naval Observatory becoming Chief of the Research Branch and later becoming Chief of the Celestial Mechanics Branch of the Nautical Almanac Office. Tom Van Flandern held memberships in the International Astronomical Union, the American Astronomical Society (and in its Divisions on Dynamical Astronomy and Planetary Sciences), and several other scientific organizations. He received second prize from the Gravity Research Foundation in 1974 and the Astronomy Award from the Washington Academy of Sciences in 2000. And now, in an article published on Jan. 9th 2017, he is addressed as “just some another paper published in 1989 blah blah blah”. They appear to have taken his research mostly known as “Exploded Planet Hypothesis” and renamed it “Multiple Impact Hypothesis”. Yes, this really happened. Earth’s moon may be the product of many small moonlets that merged after multiple objects as big as Mars collided with Earth, leaving disks of planetary debris orbiting the planet, a new study suggests. This idea that multiple impacts led to the moon’s birth challenges the most prevalent theory of lunar formation, which suggests that one giant impact led to the formation of the moon. The new, multiple-impact hypothesis suggests that about 20 moon- to Mars-size objects struck the Earth, flinging debris from the planet into orbit. There, the debris formed disks around the Earth that looked somewhat like Saturn’s rings. Over centuries, debris in several disks accreted to form moonlets that migrated farther and farther from the Earth due to tidal interactions. Eventually, the moonlets settled at a distance known as the Hill radius, coalescing to form one big moon. 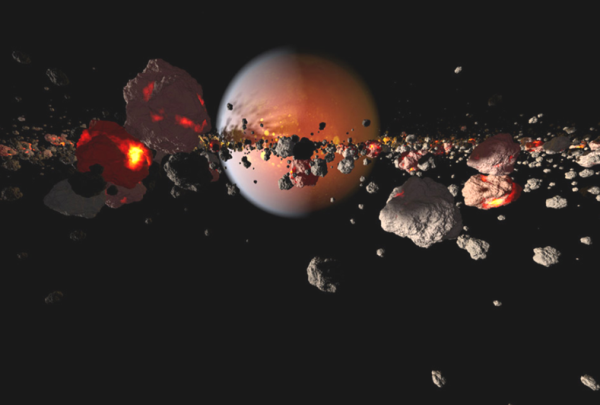 This process isn’t too far off from the “Giant Impact Hypothesis,” which states that a planet-size rock named Theia struck the Earth, leaving behind a jet of debris that went on to form the moon. But there’s one problem with this theory: it doesn’t provide a good explanation for the strong similarity between the composition of the moon and the Earth. 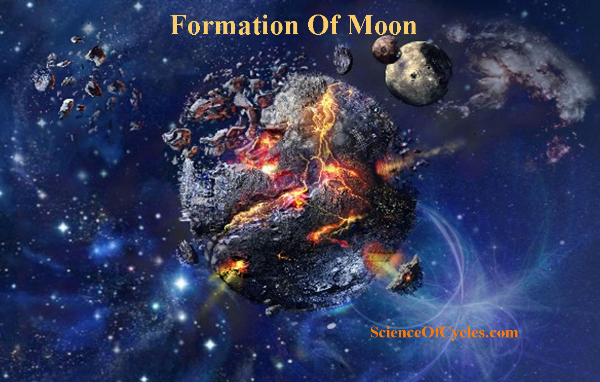 “The multiple-impact scenario is a more natural way of explaining the formation of the moon,” Raluca Rufu, a researcher at the Weizmann Institute of Science in Israel and lead author of the study, told Space.com. “In the early stages of the solar system, impacts were very abundant; therefore, it is more natural that several common impactors formed the moon, rather than one special one. In a giant impact scenario, the object that struck the Earth would have needed an Earth-like composition to create a moon that is made of the same materials as Earth. If the impactor were composed of different stuff than Earth, the moon would not be so Earth-like in composition. Authors of the new study, which was published today (Jan. 9) in the journal Nature Geoscience, performed several numerical simulations of moon-forming processes and determined that a multiple-impact scenario better explains the moon’s Earthly composition. Dr. Thomas Charles Van Flandern, an expert in celestial mechanics and cosmology, died January 9, 2009 in Seattle, Washington, of colon cancer. He was 68. Van Flandern was an astronomer at the U.S. Naval Observatory from 1963 to 1983. He developed software to predict and analyze lunar occultations to improve lunar orbital and fundamental star catalog data. In later years he championed increasingly controversial theories. But his 1978 prediction that some asteroids have natural satellites, which was almost universally rejected, was verified when the Galileo spacecraft photographed Dactyl, a satellite of (243) Ida, during its flyby in 1993. Besides astronomy and computers, he had strong interests in biochemistry and nutrition, and he ran a business selling personal computers in the 1980s. Tom Van Flandern was born June 26, 1940 in Cleveland, Ohio, the first child of Robert F. Van Flandern and Anna Mary Haley. His father, a police officer, left the family when Tom Van Flandern was 5. His mother died when he was 16; he and his siblings then lived with their grandmother, Margery Jobe, until he went to college. Tom Van Flandern became interested in astronomy as a child. He used his first telescope, purchased with newspaper delivery earnings, to observe lunar occultations, and then learned how to predict them, sparking a life-long passion for dynamical astronomy. While attending St. Ignatius High School, Van Flandern and fellow student Thomas Petrie organized the Cleveland Moonwatch team to observe the first artificial satellites, the only team without an adult organizer. In 1958, Tom Van Flandern entered Xavier University where he led the Cincinnati Moonwatch team. He learned computer programming at a summer job with General Electric and wrote software to calculate “look angles” from orbital elements. The Cincinnati team became a top producer of observations using these predictions. Tom obtained a B.S. in mathematics from Xavier in 1962. He spent the next year at Georgetown University studying astronomy. On July 6, 1963, Tom Van Flandern married Barbara Ann Weber in Kentucky. They remained together until his passing 46 years later. They had four children, Michael, Constance, Brian, and Kevin. Also in 1963, Tom began work in the Nautical Almanac Office of the U.S. Naval Observatory in Washington, DC. He became an expert on refining the lunar orbit from timings of lunar occultations, then the best observations for that purpose. He encouraged observations by providing observers with predictions of occultations for their locations. He designed a cable system connecting all observers timing a grazing occultation, to record their observations at a central station. After a 1964 success, four amateur astronomical societies built similar cable systems. Tom Van Flandern relished efforts to simplify computer calculations. He and Henry Fliegel developed an algorithm to calculate a Julian date from a Gregorian date that would fit on a single IBM card. They published this in a paper, “A machine algorithm for processing calendar dates” in 1968 in the Communications of the Association for Computing Machinery. This was used in countless business applications worldwide. With Kenneth Pulkkinen, he published “Low precision formulae for planetary positions”, in Ap. J. Supp. in 1979. The paper set a record for the number of reprints requested from that journal. Tom Van Flandern earned a PhD in astronomy from Yale University in 1969. His thesis was “A discussion of 1950-1968 occultations of stars by the Moon”, advised by Prof. G. M. Clemence. In 1976 Van Flandern asserted that the orbits of 60 long-period comets traced to a common origin, supporting Michael Ovenden’s exploded planet hypothesis. 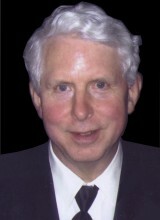 He founded the non-profit Meta Research, Inc. in 1990 to provide support for alternative theories in astronomy. The Meta Research Bulletin reported the newest discoveries and how they presented difficulties to accepted astronomical theories, such as the Big Bang and planetary formation. The Bulletin claimed mainstream scientists preferred making ad hoc corrections to the theories rather than acknowledge fundamental difficulties that might jeopardize their funding. Tom Van Flandern’s advocacy of an artificial origin for the “face on Mars”, especially after higher-resolution images were taken in 2001, antagonized many. His questioning of the speed of gravity, first published in a 1998 paper in Physics Letters A, provoked additional attacks from relativists. He showed the same persistence with these controversies that had enabled him to solve complex programming and celestial mechanics problems. Tom Van Flandern did not reject General Relativity as some have asserted, but rather rejected its geometrical interpretation. He said: “General relativity has a geometric and a field interpretation. If angular momentum conservation is invoked in the geometric interpretation to explain experiments, the causality principle is violated. The field interpretation avoids this problem by allowing faster-than-light propagation in forward time.” Tom Van Flandern strongly attacked some alternative theories, such as Velikovsky’s ideas of recent planetary close approaches, turning one of Velikovsky’s supporters, C. L. Ellenberger, into a strong critic. If not for these antagonisms, the “mainstream” part of Tom Van Flandern’s work in later years might be better acknowledged, including his “Eclipse Edge” company that organized expeditions to several solar eclipses, and his work with E. Lyytinen on the passage of Earth through cometary debris trails. Their prediction was closest to the observed time of the Leonid storm maximum of November 2001. Tom Van Flandern held memberships in the International Astronomical Union, the American Astronomical Society (and in its Divisions on Dynamical Astronomy and Planetary Sciences), and several other scientific organizations. He received second prize from the Gravity Research Foundation in 1974 and the Astronomy Award from the Washington Academy of Sciences in 2000. An asteroid, (52266) 1986 AD, was named “Van Flandern” in his memory on February 9, 2009. Tom Van Flandern’s survivors include his wife, Barbara; his brother William; and his four children. He was buried in Sequim, Washington, near his last home. His inquisitive mind, unshakable integrity, and boundless enthusiasm are remembered fondly by his friends and colleagues. He left behind a valuable legacy of astronomical work.